What’s wrong with (Miami) art criticism? 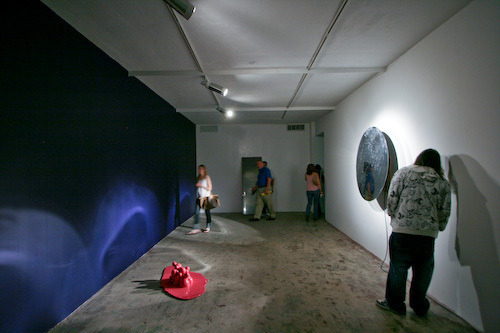 A few years ago I was on a panel of Miami arts writers at Locust Projects with Anne Tschida, Omar Sommereyns, and a few others (my qualifications seemed a bit sketchy, but it was certainly a good discussion). Probably the biggest takeaway from the (sizable!) audience was that they were clamoring for more local arts coverage and, in particular, criticism. Since then, as other locally-oriented writing has flourished, art criticism remains stuck in a rut. The New Times continues to regularly run criticism by Carlos Suarez De Jesus. But the Miami Herald hasn’t had a full-time art critic for years (I hear Elisa Turner has a blog somewhere on the Art Circuits site, but good luck finding it. South Florida Daily Blog lists four “Art Blogs,” but they are mostly dedicated to listings and brief descriptive posts. The notable exception is Artlurker, which has been running surprisingly substantial art reviews by a number of writers since 2008. But Art Lurker has been averaging one or two posts per month, so not sure what’s going on there. Meanwhile, the art scene is flourishing — art schools are pumping out MFA and BFA art majors, artwalk is a huge monthly cultural event, and there are more galleries and private collections open to the public than ever. So what’s happening? Where’s the criticism? Franklin Einspruch used to write some great criticism at ArtBlog.net. But Franklin was pretty well recognized as being in the camp of the Miami AbEx’ers, so his constant rear-guard action as all things PoMo was sort of taken in stride. One solution of course is to write anonymously. Artlurker actually started out at least in part as anonymous. But in the long run it’s not sustainable for most people. One of the payoffs that seems to be a necessary reward for consistent blogging is a level of name recognition and attention. Too, anonymous or pseudonymous criticism is inherently less credible. I still think there’s a role for a site of one or two consistent writers (hello, art/art history majors at UM, FIU, et al.) that pursues advertising more aggressively than Artlurker has. A financial reward would be a decent motivation to take a page from Orwell’s book and stay away from associating closely with the folks in the art scene, the better to show it intellectual brutality when necessary. Update: Leyden pointed out just as I was posting this: A new golden age for art criticism? at the Knight Arts blog. A promising title — but it doesn’t offer any solutions! It just says we need a golden age of art criticism. Still, there’s a way forward here: a few people interested in writing criticism start a site (maybe mix in some other sort of coverage), and apply for a Knight grant to jump-start them. Would make it much easier for them to attract advertisers with the Knight name behind them, and tide them over before the site is self-sustaining. There has been an increase in writings by websites such as Art-slant, Mutual Art, hopefully Artlog will be next. These help get the word out. The other options for Press are Art Papers, Art Pulse and Art in America. They actually have had reviews of Miami Galleries at semi regular intervals. El Neuvo Herald has the most consistent art features. I think part of it is the lower levels of education in South Florida. Both in the quantity and quality. Whenever I read art criticism — “rarely” overstates it — I find myself wondering whether the writer even knows what “aesthetics” is, let alone cracked a book about it. Too often, art crit boils down to a combination of historical reset and personal preference, which is neither insightful nor entertaining. Effective criticism assists audiences’ appreciation and knowledge of the specific work of art addressed, and art generally — a tall order, which may be another reason there seems to be a shortage. Whoa, check out the Update. Where is our brown knight? One entity, skilled at jumping through bureaucratic flaming hoops and daft at bending over backwards into a pretzel, will be awarded the prestigious arts journalism challenge 2012. Perhaps then a thorough literary dissection will follow, a harvest of the significant from our glut of MFA’s. Great start to a discussion. I can tell you one thing. We at Miami New Times are committed to better covering the art scene — not only in the print edition but on our arts blog, Cultist. We most certainly have a long way to go and would appreciate folks’ thoughts. Since 2000, the place has become a whole different scene. We wanna fan the flames. I think the New Times goes a great job in print, and in putting its money where its mouth is (in terms of having an actual art critic on payroll, and paying its other writers to cover the arts). Where there’s room for improvement right now is on the way this coverage is organized on the website. There’s an “ARTS” dropdown menu with options for Arts Home, Cultist, Arts & Eats, and Theater. Theater seems like a legit thing to have there. Arts & Eats looks like an advertising section, which I’d happily ignore. My problem is the division between “Arts Home” and Cultist. Seems to me that you’d want to see articles from both incorporated into a single section, with the ability to filter by subject. I presume the distinction is “Here’s stuff that’s ONLY on the web” and “Here’s stuff that’s ALSO in the print edition,” but as someone who’s looking at the site, I don’t see why I should care about this particular distinction, much less be forced to navigate two completely different areas of content because of it. But don’t mind me(! ), I’ve been complaining about this blog/article dichotomy amongst print publications moving to the web for at least five years. There’s about 10% of art criticism in Cultist, and to get to it you have to dig between posts about trashy reality shows, Sartorialist copycat and celebrity gossip. Cultist indeed.